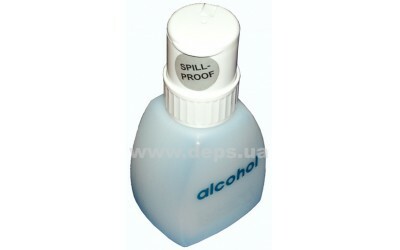 Alcohol dispenser bottle is designed for storage of cleaning liquids. 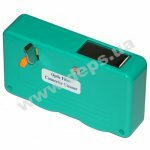 It is used for cleaning of optical connectors and preparation of optical fibers before splicing. 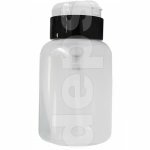 Alcohol dispenser bottle has a built-in pump for dispensing and economical liquid consumption. 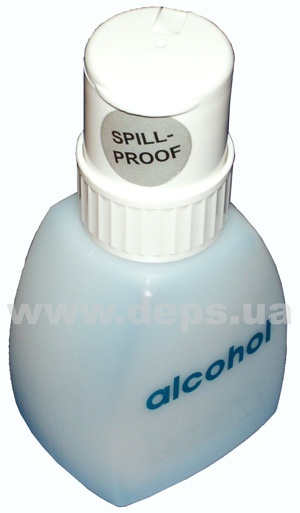 Designed for storage of alcohol and wetting of lint-free wipes during preparation of optical fibers to splicing. Equipped with a pump for economical consumption of alcohol, a protective cover and a locking system that prevents from accidental leakage. Made of high-quality polypropylene. Dispenser comes with no alcohol! Barefaced cloth KimWipes are meant for fiber cleaning of the remains of buffer coating after it was removed by a stripper. 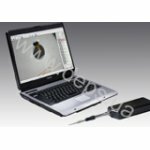 Scopio is a digital microscope to visualize the end surface of optical connector and to detect/analyze its defects.